I was getting a bit bored of just writing about beauty and fashion because I feel that it makes it seem like that is all I enjoy when in fact I like loads of stuff. I have written film reviews on my blog before and one of them is my most viewed post (back when I was exceptionally terrible at blogging) so I thought I would get back into sharing with you stuff other than just fashion and beauty themed posts. This is going to be a new series on my blog where I compare books I have read to their film adaptation and state whether or not I think they did it well. I must admit I tend to watch the film before I read the book but that doesn't always mean that I think the film is better. 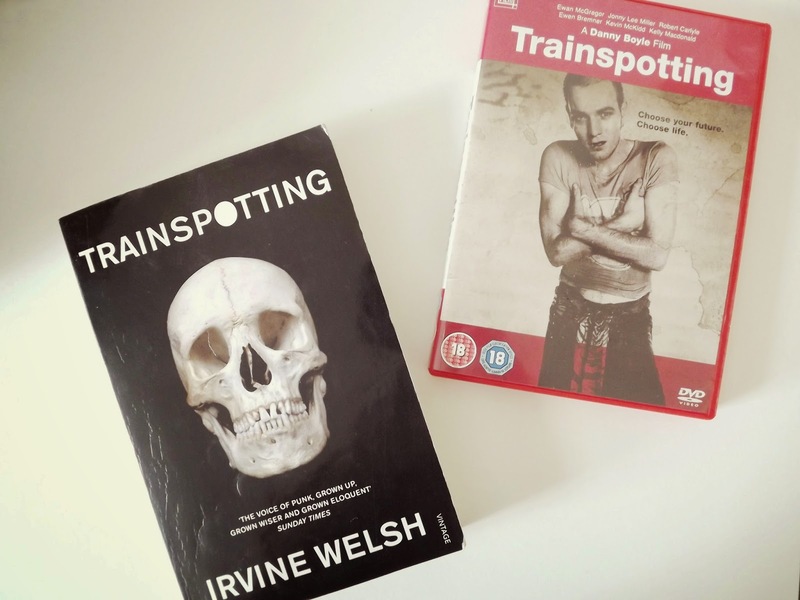 I thought I'd start the series with one of my favourite films and books that is Trainspotting which follows the lives of a group of heroin addicts in Edinburgh, their antics and attempts to get off the drugs. The Book: The novel was written by Scottish author, Irvine Welsh in 1993. When you first open the book you're overwhelmed with all the weirdly written words and you find yourself thinking 'what does this even mean?' but then you realise that most of it is written in differing types of Scottish dialogue. The book is divided into 7 sections each of which is further divided into chapters narrated by each character. This along with the differing types of dialogue you really get to know the character. Despite this is does make it confusing as it skips from character to character and it's not always clear who is narrating the chapter so it does require many trips to Wikipedia to figure it out. As for the storyline itself it's a lot more graphic and has perhaps more disturbing sections that weren't included in the film, maybe for obvious reasons but I think it just adds to the storyline. 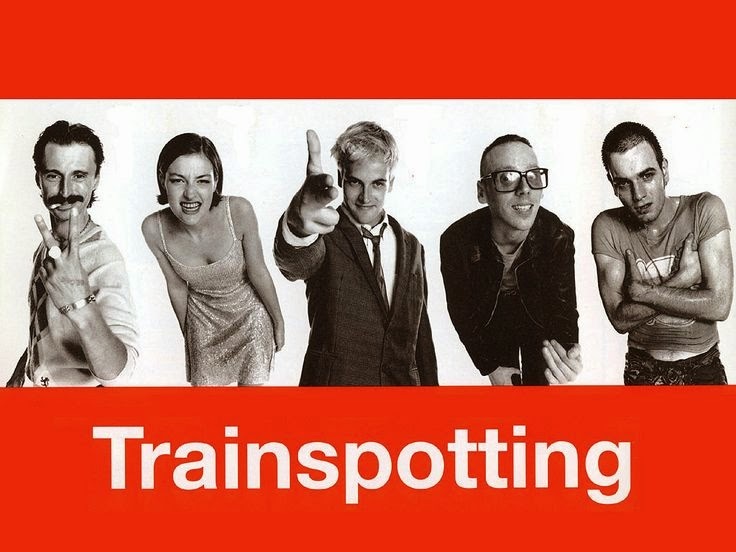 The Film: As for the Film adaptation of Trainspotting it was directed by Danny Boyle who, if you didn't know, directed Slumdog Millionaire and the 2012 Olympic Opening Ceremony in London so you can expect only good things. As with all films adaptations of novels they really didn't include everything and instead focussed on one character rather than have many different perspectives. My main issue with the film is that they make you like Renton, the main character, where as in the book he is quite a vile man. Other than that, the aspects of the book that are included in the film are done extremely well and include almost every detail. The film version is also made ten times better by the amazing soundtrack including artists such as Lou Reed, New Order, Iggy Pop and Blur something that you obviously don't get with the book. Overall I think I probably prefer to book due to its added detail and more storylines but I do really love the film too but perhaps that is due to my love for both Ewan McGregor and Johnny Lee Miller.